What’s good Podcast World. I bring you another episode of shameless promotion, magnificent music, Hip Hop, WU-TANGS CAPPADONNA speaks, Donald Sterling, People killing themselves over Beyonce?? ?, introduction to the newest sponsor of the show: SALADIN AKA THA SULTAN. 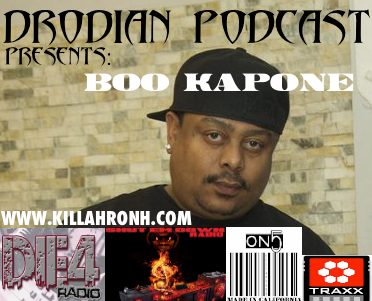 LASTLY…THE HIGHLY COMEDIC, LOW KEY BIGGER FIGURE IN HIP HOP….BOO…..KAPONE……enjoy!